Estrogen levels drop only 40% to 60% during menopause, but progesterone levels may drop to near zero in some women. You’ve heard about HRT and maybe even natural HRT, but you’re not sure what the difference is, or why you are not told more about the differences. You are not alone. Women have been made to believe that hot flashes are the worse thing a woman can experience during her life. Let's realize that a woman can get through hot flashes. What she may not get through are the side effects of conventional HRT. Balancing Your Hormones Without Drugs is a 114 page e-book taking you through the steps to balance your hormones without using drugs. Also is a section for men and how they can also balance their hormones. This is a whole body approach to getting the body into balance and in total health. This program is used at Oasis Advanced Wellness and has helped hundreds of women to achieve hormone balance. 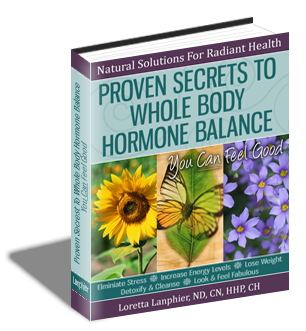 You've used natural hormones all your life...Why Switch Now?